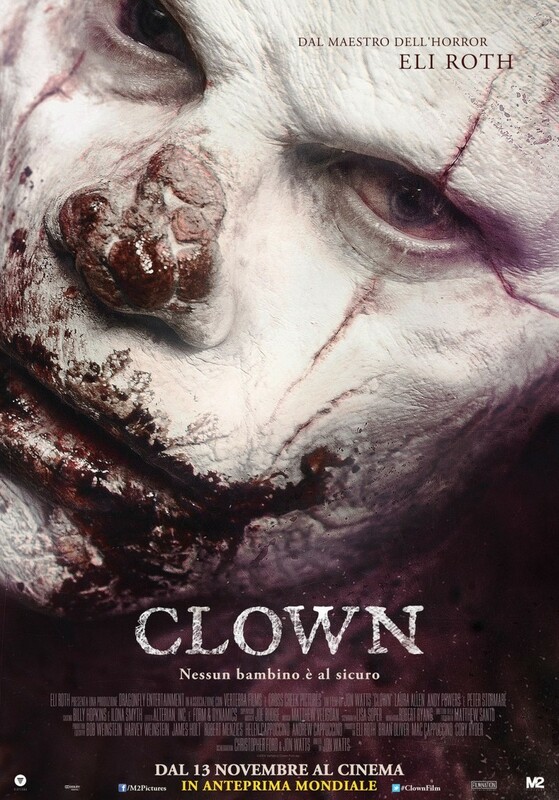 Clown DVD and Blu-ray release date was set for August 23, 2016 and available on Digital HD from Amazon Video and iTunes on June 17, 2016. Kent is a devoted father who enjoys a pleasant life with his wife and young son. When the clown he has hired to entertain at his little boy's birthday party is a no-show, Kent is thrilled to find a clown suit so he can do the job himself. What he doesn't realize is that this is no ordinary costume. Once he puts it on, he's unable to take it off again. What's worse, the suit comes with an impulse toward cannibalism. Can he find a way to remove the suit, or is this birthday party destined to be a bloodbath?